The islands of Malta and Gozo have three network operators: Vodafone, GO and Melita. 2G is on 900 and 1800 Mhz, 3G on 2100 Mhz and 4G/LTE only on Vodafone's 1800 Mhz frequency so far. 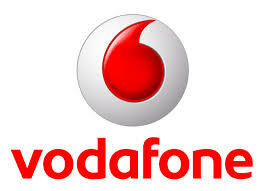 Vodafone Malta is market leader with the best coverage on the island. Vodafone Coverage. It started 4G/LTE in 2013 on 1800 Mhz in the La Valetta and St. Julians area and covers already 60% of population. One data pack is open for 4G. You can purchase a pay-as-you-go SIM at any Vodafone location (store list). There is one store in the arrival hall of Malta airport.There are nine Vodafone retail stores on Malta and one on Gozo. Various resellers are located on both islands. Their prepaid SIM is 11.65 EUR with 200 MB preloaded. Top-up vouchers of 5, 10, 20, or 50 EUR may be purchased at many retailers. When you top up 10 EUR you get 50 MB bonus, for 20 EUR you get 200 MB bonus by texting SMSWEB to 16200. The default data rate is 0.10 EUR per MB. For activation text code to 16200. To check usage send a empty free SMS to 16290. Overuse of volume is charge by the default rate. If you use the bundle beyond the time-window, another bundle will be purchased, provided having credit. To opt out text STOP<bundle size> to 16200. Standard SIMs, micro SIMs and nano SIMs are available from all Vodafone retail stores. Resellers might not stock all sizes. There are six Go Mobile retail stores on Malta and one on Gozo. A store is located within the Baystreet Complex in tourist-friendly St Julians. Various authorised resellers are located on both islands. The store locator on the Go Mobile website has more details. Starter packs are for around 10 EUR plus tax. Top-up vouchers of 5, 10, 20, or 50 EUR may be purchased at many retailers. When you top up 10 EUR you get 100 MB bonus, for 20 EUR you get 250 MB bonus valid for one month by texting TOPSAVER to 16414. The prepaid base plan has a default rate of 0.10 EUR per MB. If you are using mobile internet for the very first time, after purchasing the bundles below, send ‘internet' to 16413, to connect to the internet on your mobile. Provided there is sufficient credit on your account, the 400MB, 500MB and 6GB bundles are automatically renewed upon their expiry date. To stop text STOP to the respective number. If the bundle is consumed before the time window expires, you can buy another bundle by sending an SMS with the codes and to the respective SMS number as indicated above. These packs are NOT for Blackberrys. You can get the same packages for Blackberrys texting DBBL 10 for 400 MB pack, BIS for the 500 MB and DBBL 30 for the 6 GB pack. To keep track of your bundle usage, send a blank SMS to 16415 for free. Standard SIMs and micro SIMs are available. Nano SIMs are not available but may be cut. 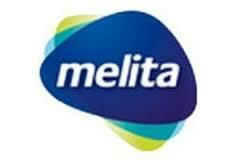 Melita is a Malta's smallest provider starting as 3G only on 2100 Mhz. In 2013 it received a 900 Mhz license for 2G. 4G has not started yet. It offers good speed and agressive pricing: Melita Coverage Map. They have two prepaid starter packs available called "Flex Telephony" at their shops list for around 10 EUR plus tax. Default rate is 0.10 EUR per MB. Data bundles can be purchased. These are renewed automatically unless stopped by sending blank SMS to 16852. You can check the remaining balance of your data bundle by sending a blank SMS to 16830 (free of charge) at any time. If the bundle has been consumed before expiry, you can purchase another data bundle. The expiry date of the new bundle will be refreshed according to the latest bundle purchased. Standard SIMs. Availability of micro SIMs and nano SIMs is unknown.